This Miami Wedding Photographer is super excited to share a maternity photography session with you on the blog today! Although I have an insane love for documenting wedding days through Dipp Photography, every once in a while, a special couple will make their way into my life and once their wedding day is over, they will invite me back into their lives over and over to document those extra big beautiful moments! Stacy & Israel are a former bride and groom of mine who are now expecting a baby girl. They reached out to me to document this joyous occasion of growing their family together and I couldn’t be more thrilled to share their maternity photography session with you! The day of the shoot, we met at an abandoned field in Kendall to capture those moments with the soon to be family of 3. This location was perfect to capture Stacy’s maternity photography session in the Miami area because the couple brought along pink smoke bombs in celebration of the occasion! Smoke bombs are a great addition to lifestyle and maternity photography and it is an easy way to add some color into your shoot without having to worry about prop rentals. It’s also important to make sure that you are in wide open space like the one we chose for this shoot, for safety purposes. Smoke bomb photography along with golden hour… now that is where we make some real magic happen!! We were able to catch that gorgeous light, tender moments between mom & dad, and all the beautiful billowing light pink smoke in celebration of the impending arrival of their Stacy & Israel’s baby girl. Keep scrolling to see more of Stacy & Israel’s maternity photography session in Miami, below! 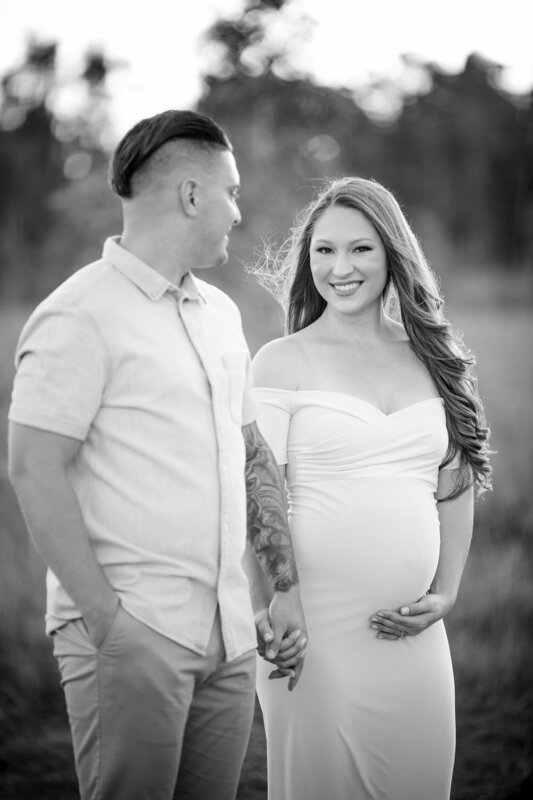 Searching for a Maternity Photographer in Miami to capture your moment? Click the >> contact button << and let’s chat!